“I began my internship with Comma at the beginning of the 2019 Spring semester. 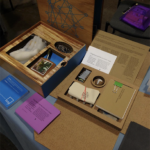 Comma is a collective that disseminates small editions of boxed art objects, as well as exhibitions and installations of various works by visual artists and writers. Comma is led by Art Department faculty Judy Rushin and Carolyn Henne. 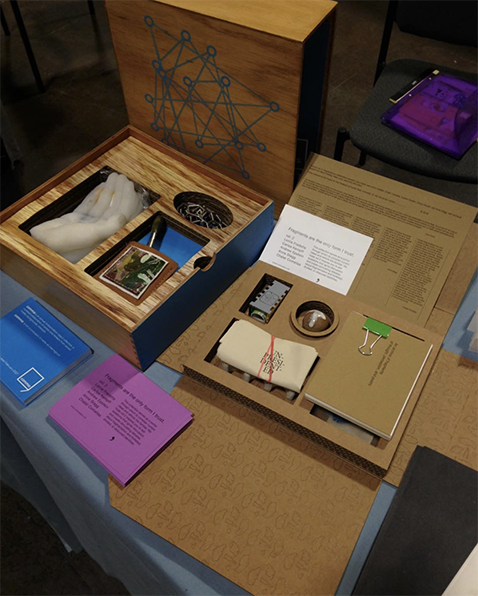 Comma has released two volumes of CommaBox, where various artists contributed small works which were then incased in editioned boxes. 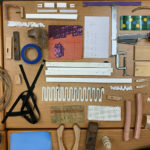 These objects vary in medium, from silicone, metal, paper, wood, recycled materials, and so on. 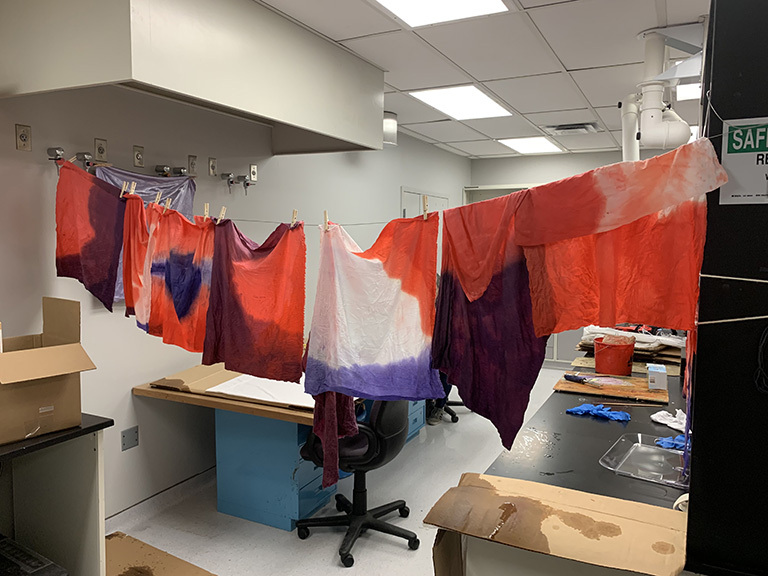 My goal in taking this internship was to further understand collaborative projects and work with materials used outside of my own focus area of Printmaking. Throughout the semester, we carried out the production of Volume 3. In this volume, we are using materials such as caulk, silicone, latex, clay, leather, hand dyed fabrics, recycled magazines, and paints. Through the general trial and error in producing art objects, we have gone through many iterations of certain objects, and learned the limitations and applications of these mediums. 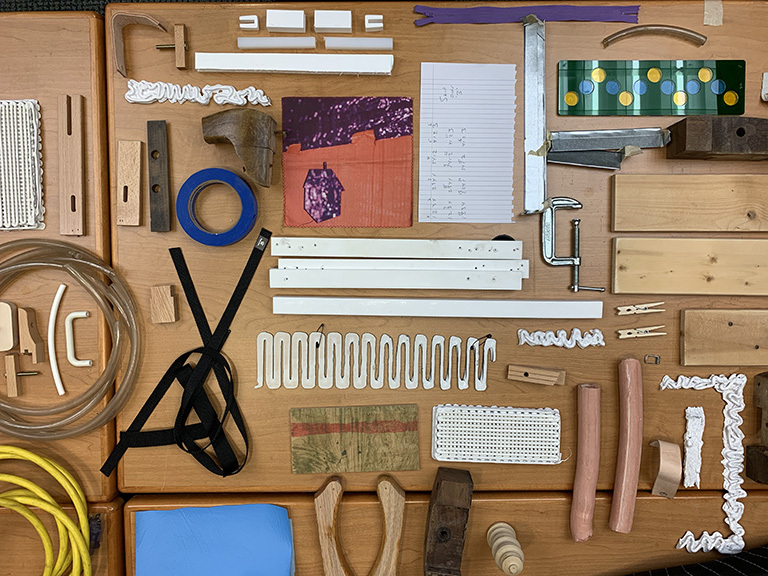 The artists in collaboration for Volume 3 (Barbara Weissberger, Eleanor Aldrich, and Erin Belieu) created several objects, and using their methods, I am working on reproducing them in larger numbers. 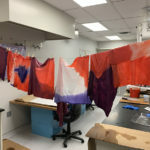 This meant going through a lot of material and sometimes having to start over after making a handful or sometimes dozens of copies of an object, to find it unsatisfactory and must start back at square one. These instances are not seen as setbacks but as learning experiences regarding the materials (silicone, latex, clay, etc). This forced me to think harder about some processes and try to shift some aspect of the production to reach a final product that will be included in the Volume 3 box. It is gratifying to think that my efforts and energy were put into these objects as much as the artist who created it, and the things I helped make could be included in such an exciting collective such as Comma.